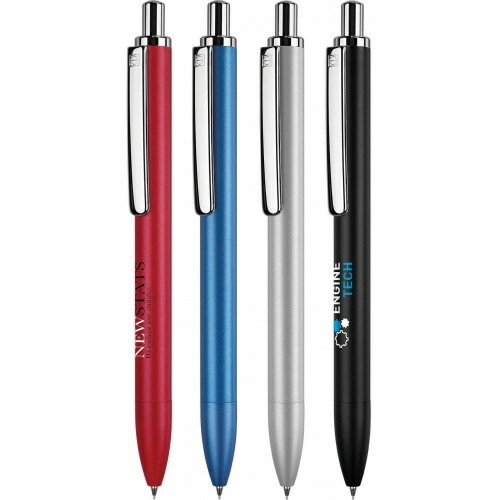 Aluminium mechanical pencil with a matt lacquered barrel and high-shine chrome trim. Fitted with a 0.7mm pencil lead and integrated eraser positioned underneath the chrome push-button. Supplied in individual black card gift box.